Phase II report on the Priority setting Steering Committee Recommendations to the Department of Canadian Heritage written in November 2018. Powerpoint Presentation for the Briefing on the Action Plan for Official Languages – 2018-2023: Investing in Our Future given on Friday, June 15 2018 at QCGN’s 23rd Annual General Meeting. PowerPoint presentation on Access to Justice in English in Quebec: Working Together to Ensure Access to Justice in English in Quebec given on Saturday, June 16 2018 at QCGN’s 23rd Annual General Meeting. 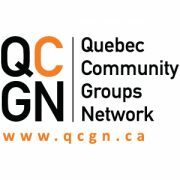 English-speaking Quebec and the Provincial 2018 election Powerpoint presentation that was given on Saturday, June 16 2018 at QCGN’s 23rd Annual General Meeting.